Show your love for photography while enjoying total comfort in this extra-large Men's Classic Tee Shirt in monochrome from TogTees. 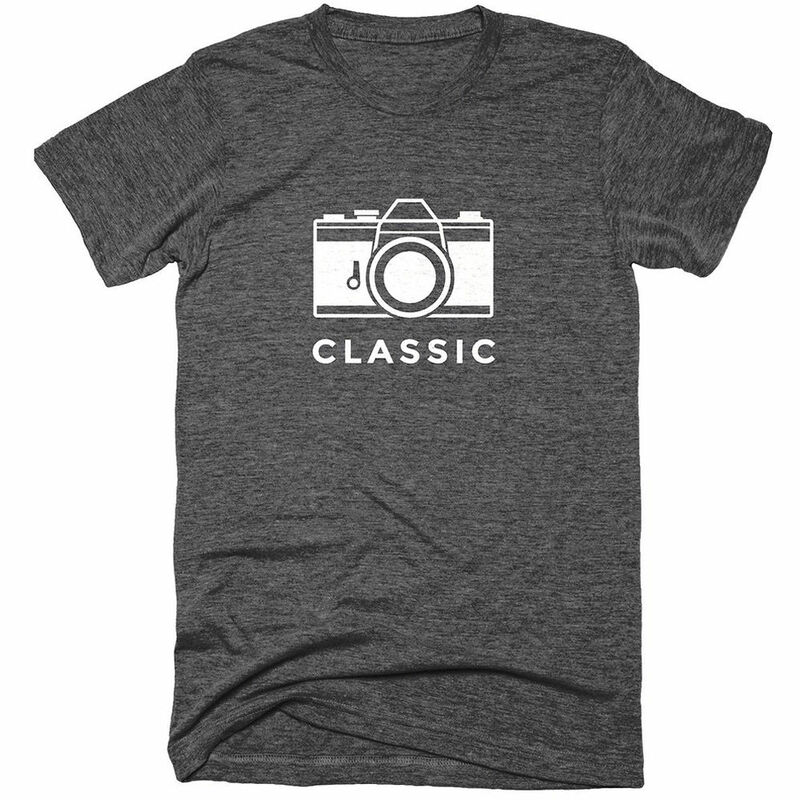 An ideal choice for those who are passionate about traditional image-making, it features an illustration of an original single-lens reflex (SLR) film camera with the word "CLASSIC" underneath it. This graphic is created with special, long-lasting ink, which, like the ultra-soft, three-fabric cotton blend, is designed to survive many cycles of wearing and washing without fading. The material is also highly resistant to stretching and shrinking, so you need not worry about having to prematurely retire the shirt due to a poor fit after a few washes. Box Dimensions (LxWxH) 7.0 x 7.0 x 3.0"